February may well be the shortest month but – to both paraphrase and entirely misquote TS Eliot – it’s also the longest. It’s a time when the debts, both monetary and physical, from Christmas are weighing that bit more heavily, a time when the resolutions have been scratched off the page in an angry stupor. Thankfully, Belle & Sebastian have hit upon a novel idea: group many of their fans together on a cruise, and sail across the Mediterranean. It’s simple, really. Well, not quite. The band birthed the Bowlie Weekender, the prototype for some excellent holiday camp hi-jinks, before a promotions team got in touch, having previously scored success with cruise ventures in the Caribbean. “I mean… great!” the singer recalls. Stuart Murdoch is also bringing a friend on board – a Buddhist nun from Glasgow who will lead meditation classes, as well as lectures on Buddhist belief. It’s something he’s been open about on social media, recently discussing the health benefits – both mental and physical – on Twitter. It’s curious, though, to hear the singer rhapsodise about Buddhist belief. After all, the coded Christian references on those early albums - “If you’re feeling sinister, go off and see a minister” et al – were much-discussed at the time, and it’s curious to see this intersect with more Eastern-centric spirituality. Ah yes, the music. When not preparing a cruise or entering a deep state of being, Belle & Sebastian can be found at their space in Glasgow. Once a rehearsal room, and now fast becoming a sophisticated studio, it’s allowed the band to enter a kind of ad hoc, perpetually creative mode of recording – hence three EPs in the space of 18 months, collated as last year’s LP ‘How To Solve Our Human Problems’. The themes are influenced by library music, with Stuart mentioning five particular zones of activity. “I’ve always loved the idea of source music, library music, old 60s and 70s TV / BBC themes. Sometimes I love that stuff so much that I just want to do it for no reason… just pure music! And so that’s what we’re doing,” he insists. A more modern TV reference guides the band’s next move, though. 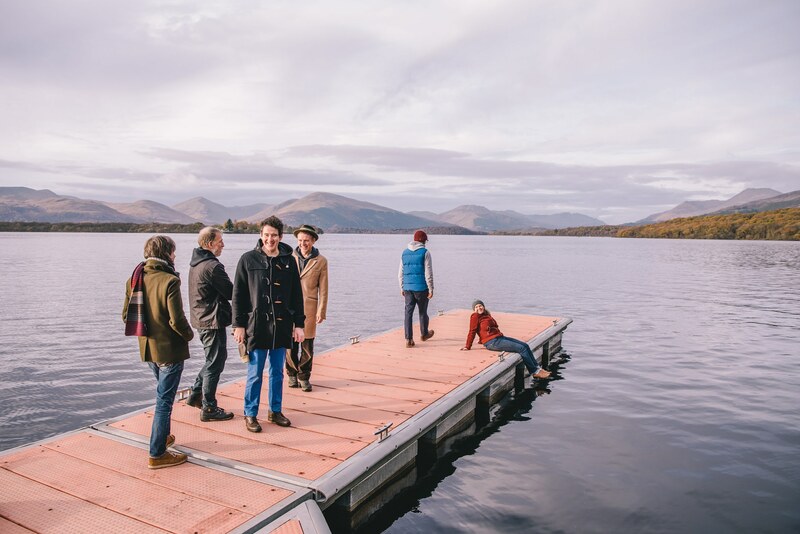 Belle & Sebastian have been invited to score a new film Days Of The Bagnold Summer, directed by Simon Bird of The Inbetweeners. So there you have it: Belle & Sebastian’s next album will be informed by both meditation and the Inbetweeners, in an extremely roundabout way. But there’s also been another shift in Stuart Murdoch’s life, with his second child arriving in 2016. It’s been a formidable change in his life, with the songwriter adjusting to the constraints and pleasures of fatherhood. He nods at the mere mention of paternity. “Even my mum said, look, this is the big one, this is the A-Bomb!” he exclaims. “Never mind marriage, it’s when your first kid comes along. I think it either makes or breaks you. Even when you were a kid yourself mums always seemed kind! I think you become kinder just because you’re looking after a baby. And that spreads out. I think you’d have to be pretty cynical if you didn’t become kinder to everybody… you learn a bit of patience”. With parenthood, recording, and the small matter of a Mediterranean cruise to take care of, fans should perhaps show patience when waiting for the next Belle & Sebastian tour. As Stuart points out, though, they’re no slouches when it comes to playing live – and with two decades worth of material to work with, there’s always another challenge.